There was a time when it was practically impossible to buy a computer with GNU/Linux pre installed. If you wanted to run Linux, you had to install it yourselves. Almost all PC manufacturers were shipping PCs with Windows OS. And if the buyer did not want Windows, he still had to pay the full price of the machine which included the cost of Windows OS. 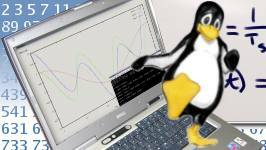 But with Linux getting more user friendly as well as its improved out of the box support for various hardware devices, more and more people are opting to run GNU/Linux and its market share is increasing at a steady albeit glacial rate. In my country for instance, it is possible to buy an assembled computer with Linux installed - something which was not possible or very rare a couple of years back. But the most significant aspect is that Acer, the Taiwanese PC manufacturer is selling its range of laptops with Linux pre installed and a Linux laptop from Acer is significantly cheaper than its Windows Laptop of the same make. Lxer has a very interesting post which lists all the companies which offer PCs with Linux pre installed which could be useful for anyone interested in buying a Linux laptop or desktop. I bought my first computer with Linux pre-installed this year. It wasn't necessarily any cheaper than buying one that came equipped with Windows, but I decided to go that route anyway because I didn't want Windows and didn't particularly want to support Microsoft with my purchase. It's a bit of a quandry really -- on the one hand, Windows could be handy to have around and the so-called "Windows tax" is (IMO) vastly overhyped by Linux zealots when you actually do price comparisons; on the other hand, I'm as resentful of feeling like I *have* to purchase Windows as the next Linux zealot. :-) So I decided not to. The irony is my machine came preloaded with Ubuntu, and after a series of frustrations with it I finally abandoned it for my beloved Debian. So I didn't save myself the installation chores anyway! But it's an excellent machine, so no regrets. It's nice to have the option of loading Windows or Linux. I bought a laptop this year without an OS and since then I've had both Ubuntu Dapper and Centos 4.3 on it. I do note that more manufacturers offer the Linux option.